I was pretty thrilled with myself for figuring out how to make plain quinoa. But then I tried this recipe from my good friend Melissa at Fun Fit Chic and I realized there is so much more you can do with it! 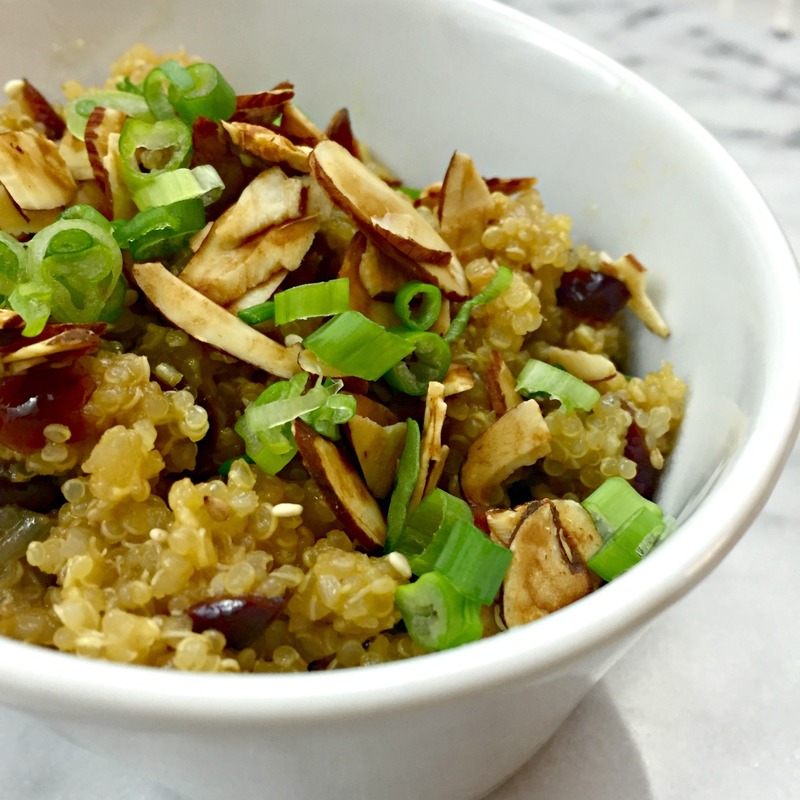 You probably know quinoa is a superfood containing complete proteins, but did you know just one-half cup of quinoa has 14 g protein and 6 g fiber? So if you’re trying to eat fewer animal products, it’s a great way to get plant-based protein while thinking you are eating a fluffy bowl of carbs. Teehee. I love that. Heat oil in a medium pot over medium high heat. Add onions and cook, stirring often, until just softened, 2 to 3 minutes. Add quinoa and toast, stirring constantly, for 1 minute. Stir in broth and salt and bring to a boil, then reduce heat to medium low, cover and simmer for 10 minutes. Stir in cranberries, cover again and continue to cook until liquid is completely absorbed and quinoa is tender, 8 to 10 minutes more. Toss with almonds and serve. Enjoy! This looks delish!! Quinoa is my fav and I love a good quinoa salad for lunch. Can’t wait to try it! !